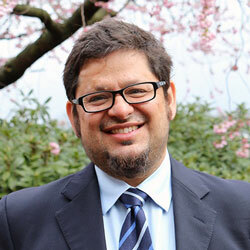 Mario Herrero is Chief Research Scientist and Office of the Chief Executive Science Leader in Agriculture and Food in CSIRO. He has more than 20 years experience working on strategic agricultural R4D projects in Africa, Latin America, Asia and Europe. Before coming to Australia in February 2013, he spent 12 years in Kenya, leading the Sustainable Livestock Futures and Climate Change programmes and the Targeting Pro-Poor Interventions team at the International Livestock Research Institute. A known team player, with an extensive network of partners and donors, he works in the areas of agriculture, food security and global change, targeting agricultural investments in the developing world, sustainable development pathways for smallholder systems, ex-ante impact assessment, climate change (impacts, adaptation and mitigation), development of scenarios of livelihoods and nutrition futures, multi-scale integrated assessment, and others. He has experience working at different scales, from the animal and farm level to the country, regional and global levels. He has coordinated several global and regional integrated assessments initiatives such as the African Livestock Futures Report for the Office of the UN Special Representative on Food Security, and the CGIAR global assessment of food production systems, ecosystems services and human well-being to 2030. He has also contributed to numerous international assessments such as the IPCC 4th and 5th Assessment Reports, 2010 World Development Report, the 2007/2008 Human Development Report and the 2007 Comprehensive Assessment of Water Management in Agriculture. He regularly participates in international committees such as IPCC’s Working Group 3 (Mitigation) and the IPCC Task Force on Greenhouse Gas Emissions, and has served in several donor and science advisory committees on agriculture, livestock and the environment. He has published more than 300 fully refereed papers, book chapters and reports in his areas of expertise. He is currently on the editorial boards of Agricultural Systems (Elsevier), Global Food Security (Elsevier), Agriculture and Food Security (BioMed Central) and Tropical Grasslands, and has been a guest editor for the Proceedings of the National Academy of Sciences journal (PNAS). He has also supervised over 60 academic theses on different aspects of tropical agricultural production systems, and has recently become a Honorary Professor of Agriculture and Food Systems at the University of Queensland, Australia. Information about the global structure of agriculture and nutrient production and its diversity is essential to improve understanding of food production patterns, agricultural livelihoods, and food chains, and their linkages to land use and their associated ecosystems services. We used existing spatially-explicit global datasets to estimate the production levels of crops, livestock, and aquaculture and fish products. We also estimated the production of vitamin A, vitamin B12, folate, iron, zinc, calcium, calories, and protein. Furthermore, we estimated the relative contribution of farms of different sizes to the production of different agricultural commodities and associated nutrients, as well as how the diversity of food production based on the number of different products grown per geographic pixel and distribution of products within this pixel (Shannon diversity index [H]) changes with different farm sizes. Globally, small and medium farms (≤50 ha) produce 51–77% of nearly all commodities and nutrients examined here. However, important regional differences exist. Large farms (>50 ha) dominate production in North America, South America, and Australia and New Zealand. By contrast, small farms (≤20 ha) produce more than 75% of most food commodities in sub-Saharan Africa, southeast Asia, south Asia, and China. The majority of vegetables (81%), roots and tubers (72%), pulses (67%), fruits (66%), fish and livestock products (60%), and cereals (56%) are produced in diverse landscapes (H>1·5). Our results show that farm size and diversity of agricultural production vary substantially across regions and are key structural determinants of food and nutrient production that need to be considered in plans to meet social, economic, and environmental targets. At the global level, both small and large farms have key roles in food and nutrition security. This analysis is crucial to design interventions that might be appropriately targeted to promote healthy diets and ecosystems in the face of population growth, urbanisation, and climate change.